If you have ever launched a lead distribution solution you know as well as I do, that it can be daunting. With LeadExec 4.0 and our new web version set to release in October, we are doing everything we can to simplify the process. 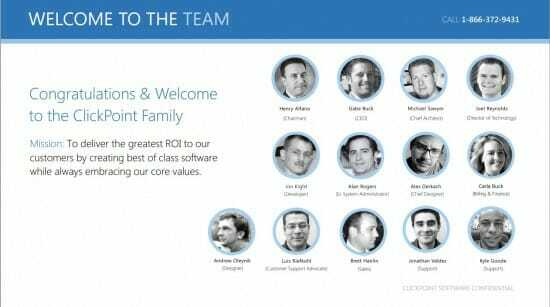 Once you come on board we want you to have a detailed welcome kit that allows you to do as much or as little work as possible before meeting with our team. Yes, we love to train our clients but we also want to empower you to use the software and we think our new welcome kit is step in the right direction. We separated the kit into a Basic, Intermediate, and Advanced section. If you jump to the LeadExec training page you can easily click on each section and it will take you to the section that matters most to you. Additionally, we also provided a priority sections that tell you where to access the specific section in our software and it also gives you a link to the specific section in the document. We hope that this layout and the PDF index will give all of our customers quick access to the content that will help them most. We would love your feedback and to hear if there is any way that we can improve our welcome kit. 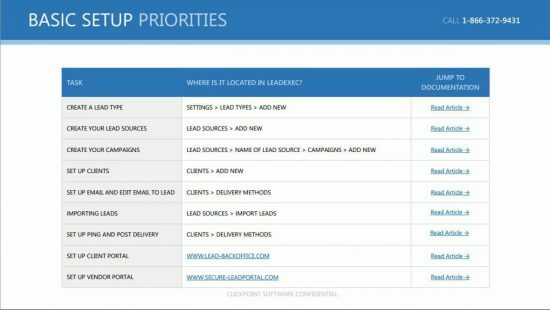 This entry was posted in Sales Software Best Practices and tagged Lead Management on August 27, 2013 by ClickPoint Software.